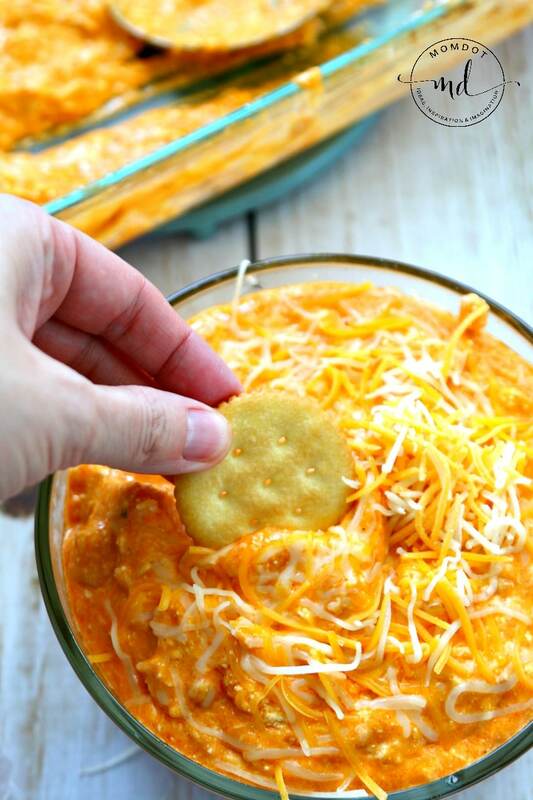 Looking for an easy buffalo chicken dip recipe? Look no more! Make this canned chicken buffalo chicken dip and even buffalo chicken sliders with this delicious canned chicken recipe! Using crackers to dip, this spicy buffalo dip can be made in the oven or in the crock pot and is the gift that keeps on giving during the football season. 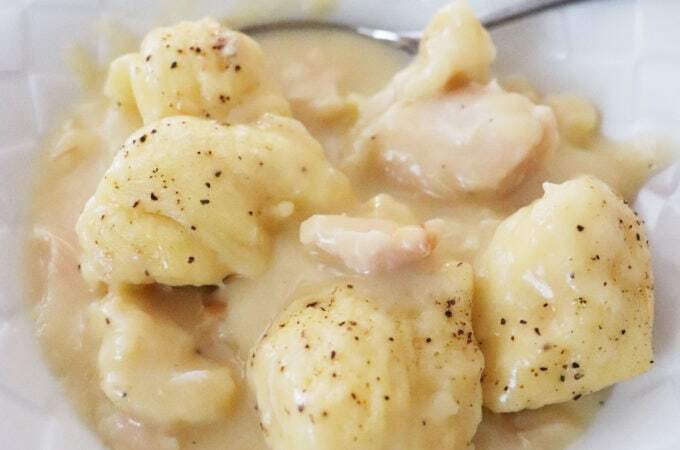 Easily the favorite at any party, its an always requested, always made recipe. ‘No matter whether you use Frank’s Hot Sauce or your favorite wing sauce, look before for a no fail dip that will knock your socks off. And don’t fret- this recipe is all you need to learn how to make easy buffalo chicken dip and alter to your own family taste buds! With the big game just moments around the corner, no doubt you are looking for an appetizer or dip recipes that will keep the chips coming. 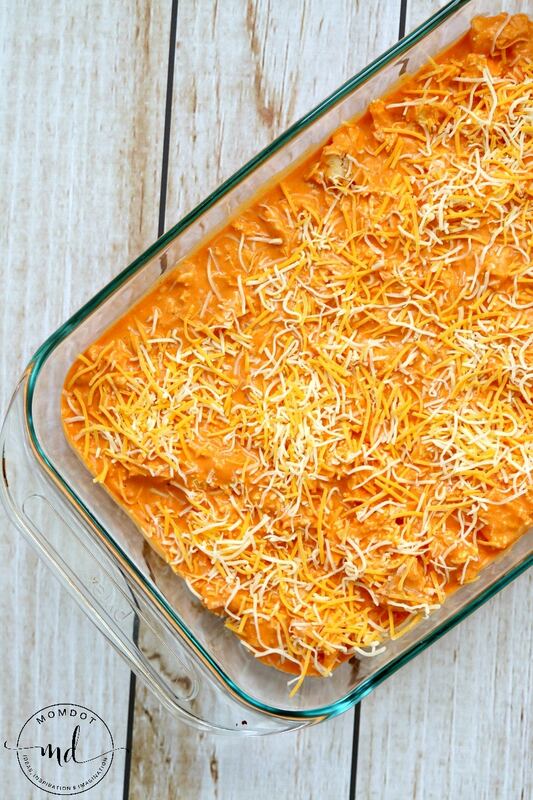 The great thing about making an easy buffalo chicken dip is that you can add nearly any type of veggie, chip, or cracker and the dip itself does the heavy lifting. And by heavy lifting, I mean lifting the cracker to your mouth! I wanted to share with you a great way to not only get this creamy, delicious and perfectly spiced buffalo dip on the counter in under 30 minutes, but include all the ooey gooey cheese, perfect spice of the buffalo sauce, and the cooling effect of ranch dressing for a low cost. 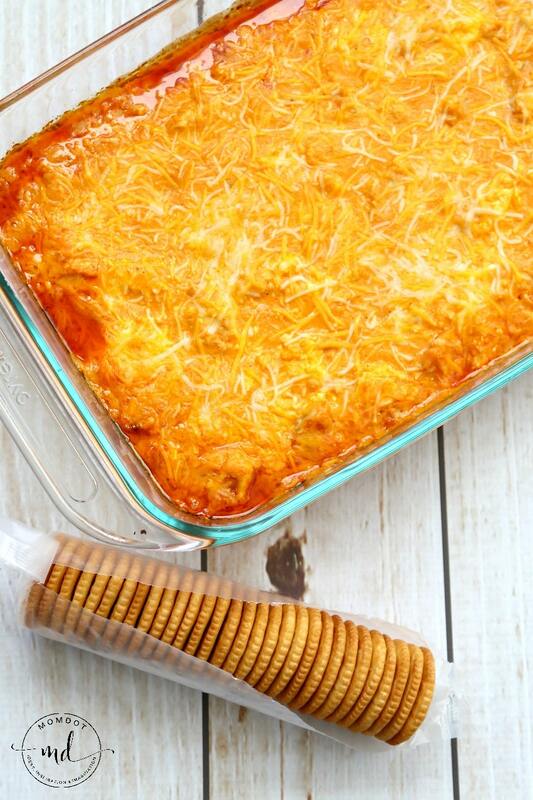 This extra cheesy buffalo dip can be done the quick way (which I do! ), or the long way for a more home cooked feel, or even a big ole buffalo dip slow cooker version! Depending on your time and audience, the recipe choice is up to you. 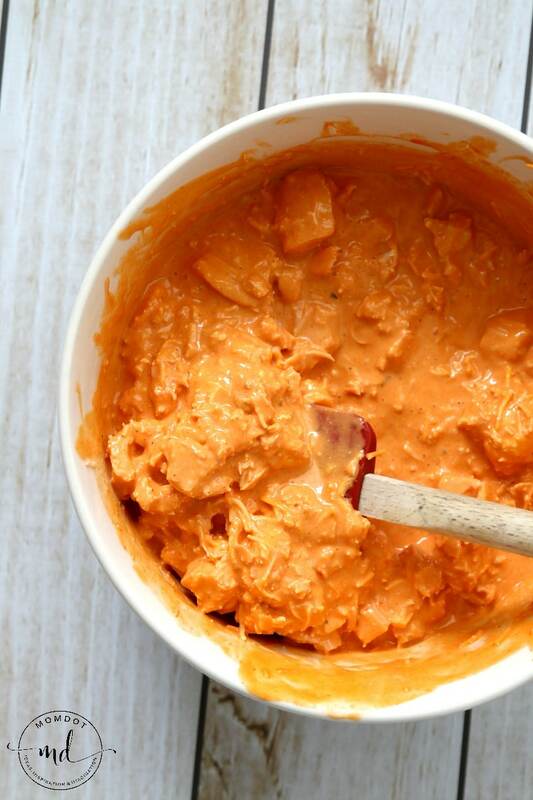 This Buffalo Chicken Dip is the perfect blend of spice that will keep your mouth just hot enough that you can’t. quit. eating. First, let’s discuss the chicken. Here are three ways to prep the chicken prior to making the recipe. In my home, I use the “quick way” personally but you have choices! Mix your cheese, cream cheese, wing sauce and ranch together. Make sure the cream cheese is as smooth as possible. You can use a mixer on low if you like, but don’t stress over it. 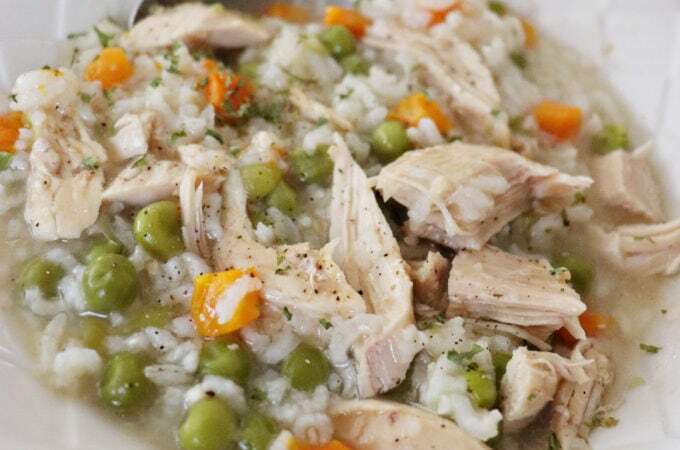 Add your shredded chicken (or drained canned chicken) and stir. Pour into a large 9×13 pan (top with extra cheese if you like) and put in 350 degree oven for 30 minutes. Once removed, you are welcome to stir to make sure your cream cheese is mixed, and then serve with crackers. Mix your cheese, cream cheese, wing sauce and ranch together. Make sure the cream cheese is as smooth as possible. You can use a mixer on low if you like, but don't stress over it. Pour into a large 9x13 pan (top with extra cheese if you like) and put in 350 degree oven for 30 minutes. Looking for another game day option? Everyone loves the salty and savory, but do not bypass the sweet! 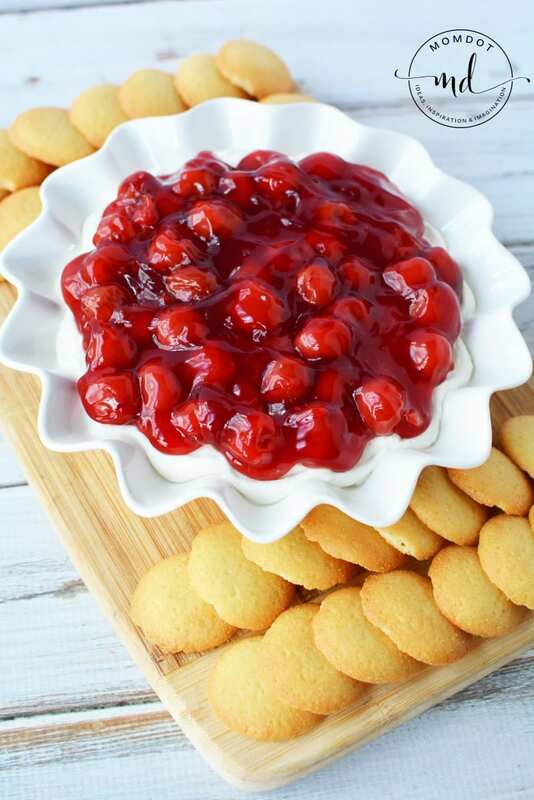 Grab this Cherry Cheesecake Dip recipe this season, a quick no bake option that is ready in minutes and will fly out of the bowl. Looking for another fantastic recipe?